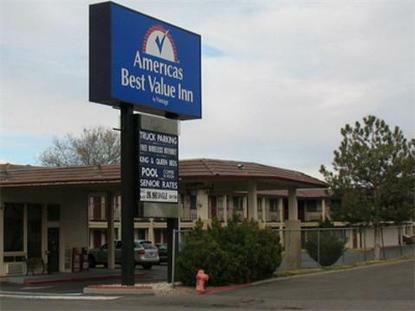 The 2-Diamond AAA Approved Americas Best Value Inn of Carson City is located in beautiful Northern Nevada. This 57 room Inn offers rooms featuring amenities that include Free High-Speed Wireless Internet Access in all guest rooms, in room coffee, free local calls, AM/FM clock radios, and cable TV w/HBO. The property serves coffee, tea, hot chocolate every morning during the weekdays. On weekends we serve coffee, tea, hot chocolate, cookies, doughnuts and juice. Also on-site is a crystal clear outdoor heated pool with hot tub for your enjoyment. Carson City Area Attractions: State Capital Buildings, State Library and Archives, Nevada Supreme Court, Stewart Indian Cultural Center and Museum, the State Railroad Museum with guided tours available. Virginia City is 15 minutes away, and, only 30 miles from the famous gambling city of Reno. Experience the Reno Rodeo in June or the Hot August Nights antique car rally during the first weekend in August. The Reno Air Races and the Hot Air Balloon Races are in September. Beautiful Lake Tahoe is 30 minutes away where you can enjoy boating and fishing. Let the friendly staff make your stay perfect at the Americas Best Value Inn of Carson City. .